We know what you’re probably thinking, “I already know to brush and floss,” but there’s a lot more to cavity prevention than just brushing and flossing your teeth. For instance, what causes a cavity? And for that matter, what is a cavity? Cavities are tiny holes in your teeth made by the process of tooth decay over time. Plaque forms on the surface of your teeth. The bacteria in plaque contains acids that attack your tooth enamel. Because plaque is tacky, the acids come in contact with your teeth and adhere thus over extended periods of time enamel breaking down. It’s a vicious cycle, but you can stop it. Cavities are one “disease” that is preventable, treatable and even in some cases reversible. 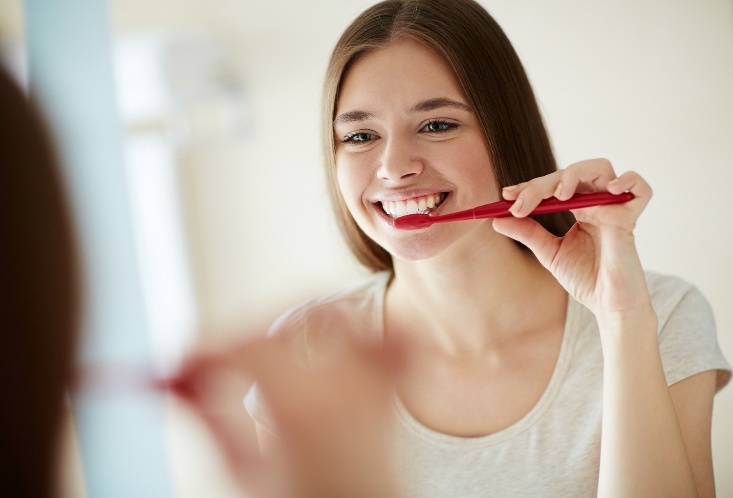 The most obvious way to help prevent cavities is to remember to brush your teeth. Tooth brushing should be twice a day (or more, if you can) for two minutes each time. By brushing your teeth, you are removing the harmful plaque that forms on your teeth, giving acid less of a chance to develop and create the holes that turn into cavities. Be sure to use a fluoride toothpaste that strengthens your teeth and will increase your chances of remaining cavity-free. Even with the controversy surrounding flossing, dentists still recommend flossing every day to remove the particles of food that a toothbrush can’t get. Use a coated floss to make flossing more comfortable and hold the floss tightly around each tooth in a “C” shape, moving the floss in a push-pull motion. Follow up with a mouthwash or fluoride rinse to rid your mouth of any other food particles that may not have been removed by your toothbrush or floss. Mouthwashes also provide another layer of protection against symptoms of tooth decay. If you’re someone who suffers from Acid Reflux, visit your doctor to take preventative measures. Acid Reflux causes more acid than normal to come in contact with the teeth, but a simple over the counter antacid or prescription medication from your doctor can prevent this. Remember, any excess acid that touches and adheres to the teeth will increase your odds of developing a cavity. A good diet also goes a long way in maintaining a healthy smile. A diet that is rich in vitamins and nutrients that come from whole foods such as fruits, vegetables and proteins will not only make your teeth stronger but will also fill you up, so there’s less room for processed sugar snacks that are harmful to your teeth. Included in your diet should also be sugarless gum. While it seems like a strange addition to the list, chewing sugarless gum will help prevent cavities by increasing the saliva in the mouth that can act as a way to rinse away any debris that may have otherwise lodged between teeth. Make sure to drink plenty of water – at least half of your body weight in ounces each day. Water is a sugar-free beverage that is not only good for your mouth but your entire body and it acts as a rinse in between teeth brushings. Sealants are also a great option if the cavity prevention is for a child or adolescent. Sealants are thin, plastic coatings painted on the top of the back teeth. Because the chewing surfaces of the back teeth are typically rough and slightly uneven, it’s easier for bacteria and plaque to hide in the small grooves. Sealants level the playing field, so to speak, and coat the tops of the teeth, making them even and smooth. The barrier that is formed by sealants protects children and teens from cavities. Make sure to visit your dentist regularly, and that includes all members of the family! Scheduling to see your family dentist twice per year will help keep your smiles sparkling and healthy. The more often and consistently you do go to the dentist, the less money you will spend in the long run. Dentists can keep on top of your dental health, and treat any cavities that are in your mouth before they get much worse and create bigger problems. 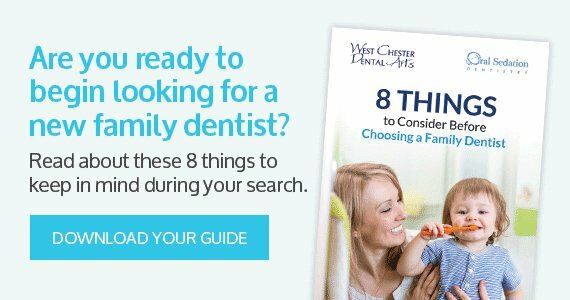 If you’re searching for the perfect family dentist, contact the team at West Chester Dental Arts today. With experienced, caring, gentle and knowledgeable professionals, we will make your visit to the dentist your most comfortable one yet.